I guess rumors of my demise were exaggerated. 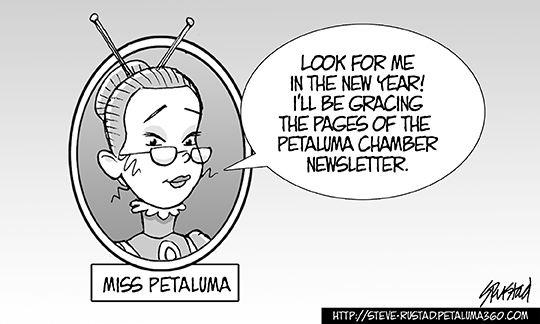 I’ve been invited to appear in the Petaluma Chamber of Commerce monthly newsletter. Look for me in January’s edition. Until then, have a Merry Christmas and a Happy New Year. For those who don’t celebrate the birth of Our Lord, or find the mention of Christmas politically incorrect, I love you nonetheless and wish you a restful and joyous time.